PB says: Yay! Let us know how you like it! Eh, nice! I’m checking out a new label lately – benefits – the stuff are quirky and very interesting. PB says: I have Georgia blush but haven’t heard many good things about Benefit except that they are cute 🙂 Thanks for the tag will look into it and you have a good weekend too! you purchased items from strawberry.net?? how long do they take to ship the items? did it arrived safely?? i’m thinking of buying stila’s retractable brush, which is only RM69.70 while in counter (Msia) sold at RM110. do you think its worth it?? do let me know ya… really wanna buy it but just scared..
PB says: Strawberrynet worked very well for me. My package came within a week of my order and it is very well packaged. I don’t know about Stila’s retractable brush but hey, since its cheaper online, why not? So far I’ve had nothing but good experiences on Strawberrynet. 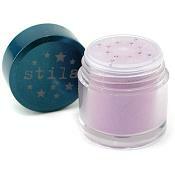 hey i am interested in stila comestics, but its my 1st time here.. how do i order? 🙁 hmm not used to getting around this site yet..
Is it secure to give them my credit card security number via email when I’ve already submitted it in the billing site of their strawberrynet website?